What is Biology? Hi, This is the first lesson of Biology. I will teach you the ABC of Biology. If you read all lesson of Biology, then I think you will learn from the Basic to advance. So read, learn and share your knowledge. If you have any questions, then you can leave a comment below or ask me your questions by using this link. So let me discuss on biology. Hi, This is the first lesson of Biology. I will teach you the ABC of Biology. If you read all lesson of Biology, then I think you will learn from the Basic to advance. So read, learn and share your knowledge. If you have any questions, then you can leave a comment below or ask me your questions by using this link. So let me discuss on biology. Definition of Biology or What is Biology? 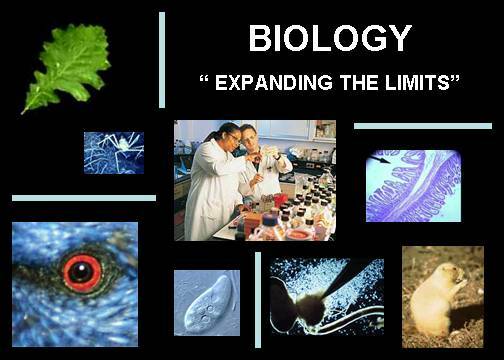 The word biology comes from the Greek word “Bios” which means “life” and “logos” which means “study”. So Biology means Study of life. Biology is the study of living things and their vital processes. It is a natural science concerned with the study of life and living organisms, including their structure, function, growth, origin, evolution, distribution, and taxonomy. An organism is a living entity consisting of one cell e.g. bacteria, or several cells e.g. animals, plants and fungi. Biology covers a broad area and it separates the study of plants “botany” from that of animals “zoology”, and the study of structure of organisms “morphology” from that of function “physiology”. So current practice tends to investigate those biological phenomena that all living things have in common. The advancement of knowledge and technology has resulted in further categorizations that include, but are far from restricted to cell biology, population biology, ecology, genetics, biochemistry, molecular biology, microbiology, and physical anthropology. You will know in details about it if you read "Classification system of biology" and the Concept of Biology. Hope you will read it attentively to increase your biology knowledge. As Biology immensely important area of science, In this article, I shall try to discuss in short about the importance of biology but I shall try to discuss importance of biology in details. Biology plays a variety of crucial roles in ensuring protection and welfare of all living beings on earth. With the progress of scientific development, humans are enjoying a much more comfortable life, but side by side many more problems are viciously emerging and causing a serious threat to all forms of life and their environment. In that case, biology can help human to face some critical challenges of the century, and some of these are the production of food, development of medical science and conservation of organisms in their hostile environment. In this chapter, the definition of biology been discussed. Knowledge World: What is Biology?